For millions of people, the constant and persistent humming that they hear ringing in their ears is a source of frustration and pain that causes them to become sleep deprived, cranky, and generally miserable. 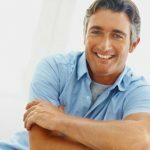 While hearing loss has its own measurable side effects especially as a person grows older, the word “Tinnitus” which sometimes accompanies the aging process reverberates with the anxiety and tension caused by it symptoms. Because the symptoms of Tinnitus are often subjective, for example the loudness of the ringing is from the patient perspective since there is no external sound to qualify the depth of ringing which means treatment for this condition is often less than precise. While the cause is unknown many believe that Tinnitus is caused by a variety of issues such as withdrawal from some pain medications, ear infections, nose allergies and more recently popular in-ear headphones such as used with MP3 music players. The Institute for Nerve Medicine is excited to bring this case study to you this month since we have recently had patient cases where our exclusive Interventional MRI procedures have been able to correct Tinnitus symptoms. 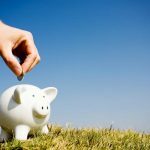 While we are currently writing a medical peer review paper that will soon publish our findings, we wanted to bring this wonderful breakthrough to our patient and physician community since this is something that we can provide immediate treatment planning for that is measurably more accurate and clinically efficient. In this case study we have a patient that developed significant hyperacusis and tinnitus possibly due to multiple medications with tinnitus listed as a side effect. The patient had no relieving factors with persistent tinnitus that affected her ability to sleep on a daily basis. 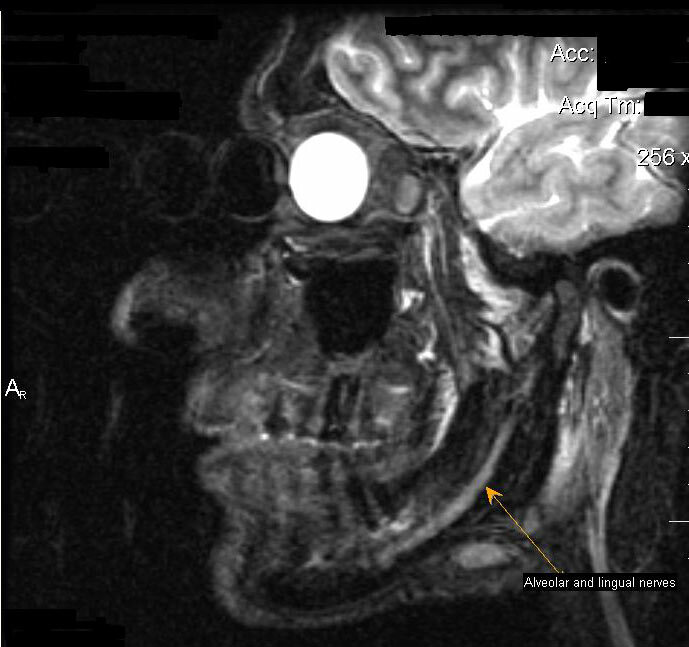 MR-Neurography imaging noted that there was facial nerve irritation as it exits the stylomastoid formen and passes inferior to the external auditory canal which would be consistent with a focal entrapment or irritative syndrome. Based on these findings the patient proceeded with an Interventional Open MRI guided facial nerve block below the external auditory canal. Medications utilized for this procedure included Marcaine, Celestone and Hyaluronidase. Immediately post procedure the patient noted a significant improvement in her tinnitus. The patient indicated that on a pain scale with 10 being the worst and 1 being no symptoms her tinnitus had gone from a 10 out of 10 pre-procedure to a 1 out of 10 immediately post-procedure. 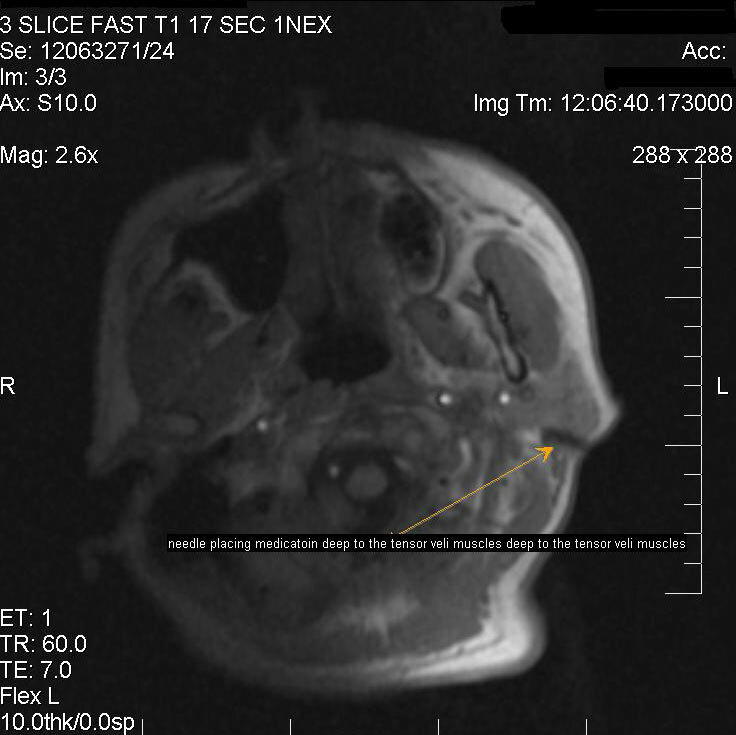 She had a recurrence of her symptoms however at approximately two weeks post-procedure she began to note an overall improvement most likely attributed to the hyaluronidase injected around the facial nerve. At an additional follow up at four weeks post procedure the patient was still reporting significant improvements in her neck and shoulder pain. She was also maintaining a 50% reduction in her tinnitus with some hyperacusis. 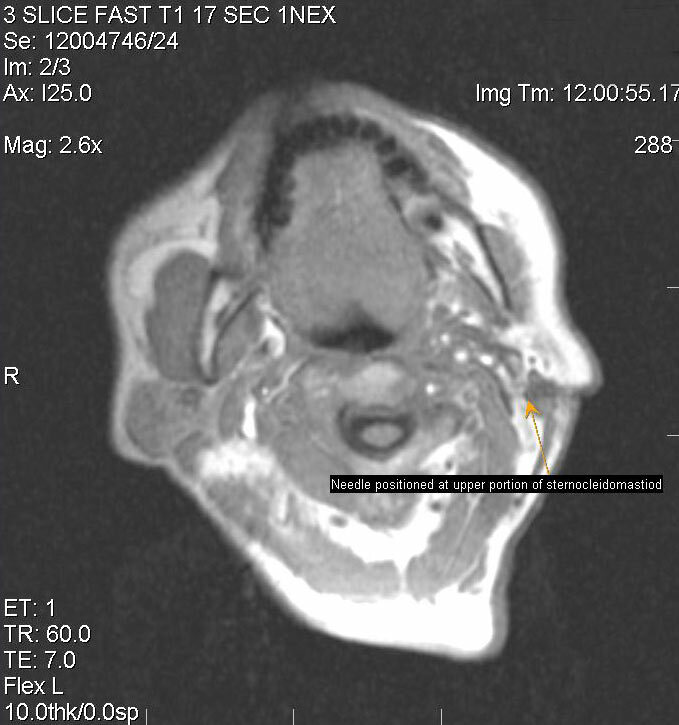 Due to the persistent and progressive improvements the possibility of an additional repeat procedure with hyaluronidase was discussed in the event the patient reached a plateau in her progress or began to experience any recurrence. This was a patient that was experiencing significant symptoms that affected her daily life following a procedure. For over 6 years the patient suffered from these debilitating symptoms with no improvements. 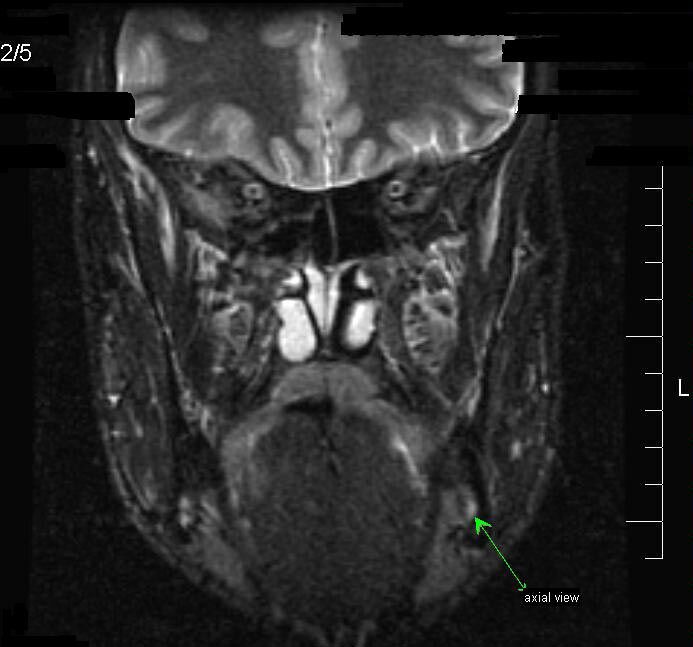 The patient has and continues to maintain marked improvement from the Interventional MRI guided procedure targeting the facial nerve for her auditory symptoms. There are numerous tinnitus patients that had been unresponsive to a large variety of treatments including medications. This has been a groundbreaking find in the treatment of tinnitus patients. Hopefully further research will lead to effective treatment for patients suffering from debilitating tinnitus.